We have problem with official web site. 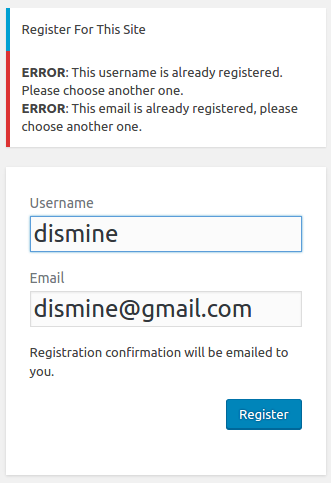 The form of registration is not working. Before this issue will be fixed use mirror https://valentinaproject.bitbucket.io/. The problem is on http://www.valentina-project.org – this is a test. Sorry for the inconvenience. The valentina-project.org test site has the sign-in problem fixed. Please let us know if you have trouble downloading the test builds. Since we have a security certificate for the entire valentina-project.org domain, I switched over to using the test site, so it’s now live as soon as DNS records have propogated. So your email is secure Reload your browser to get your local copy of the site refreshed. The DNS record propagation could take some time. The sign-in is required to enable the pattern share. .
Can you add note about test somewhere because somehow users go to this domain name and can’t understand what is wrong? Even i was confused. Below the registration box, there is a Log In option. Warren says he created two test accounts. I’m confirming whether he created your account with your email, or if this is an error. Because I got the same message, but he had created my account. Below the registration box, there is a Log In option. Thing is because i did not confirm my email. Just did not get a chance. No email in my inbox. I don’t have a password. So, my registration stucked. Plus if you want tot know my opinion Log In link should be not there. It it not obvious, why should i go through the register link if i already registered and only there go to Log In. The login should timeout. Re-login next time you go. But we’re working these. I’ll make you an admin, and change your password. I’ll send the pwd to you separately. I’ll send the pwd to you separately. The DNS records may take up to 12 hours to propogate.